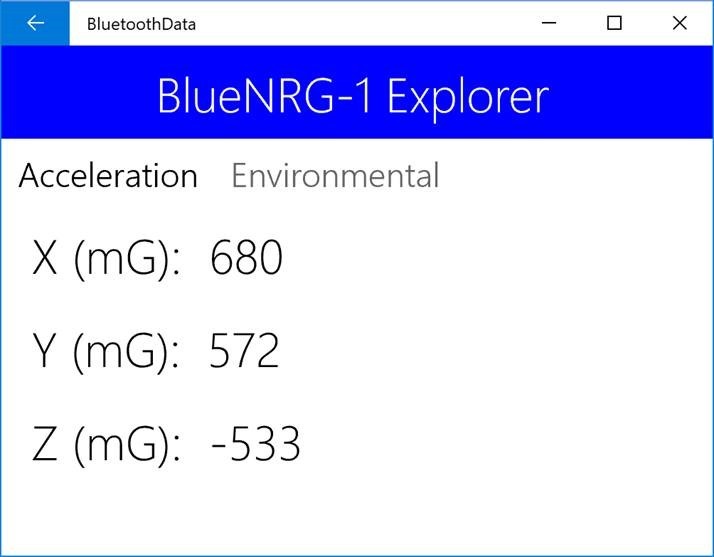 Windows 10 API supports not just Bluetooth Low Energy devices, but allows you to utilize RFCOMM protocol as the most widespread since Bluetooth invention. Even if your module doesn’t support BLE, you always can use RFCOMM. As in the case of BLE Windows 10 allows you to publish RFCOMM services or work with other services as a client. My module wasn’t on a plate with a voltage regulator. So, I decided to add a voltage divider for TX->RX connection, because Arduino generate 5 volts there rather than 3.3 volts. If you have a module like on the schema above (with the regulator), you still can use the divider, and it will not break your circuit. To communicate with the module from Arduino, you can simply use the serial port. So, I connected TX and RX pins on Arduino to RX and TX pins on the module. Additionally, I connected 3.3V and GRN on Arduino to VCC and GRN on the module. I setup my module to use 115200 speed and changed the name of the module to rfcommhc06. You can do it connection the module to your computer using USB to Serial adapter and execute some AT commands (AT+NAMErfcommhc06 and AT+BAUD8). This code read data from serial port using infinity loop and one there is 3, it sends high voltage to pin number 13. In the case if 2 is in the stream, it sends low voltage to pin 13. 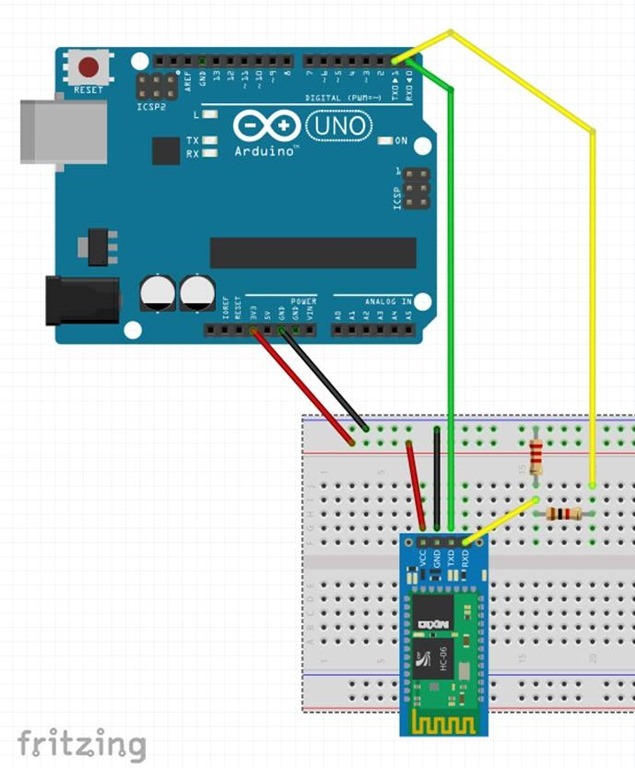 Because pin 13 are connected with a LED on Arduino Uno boards, the led will switch status between on and off depends on input data. At the end of each iteration, I send all incoming data back. If you finish your circuit and deploy the code successfully, it’s time to start developing a client for Windows 10. The DeviceWatcher_Added method will looks different compare to BLE example. First, we use the BluetoothDevice class rather than BluetoothLEDevice. Once we have a reference to the device, the GetRfcommServiceAsync method helps us to get list of all available services. Our Arduino code is very primitive and we have just one service. 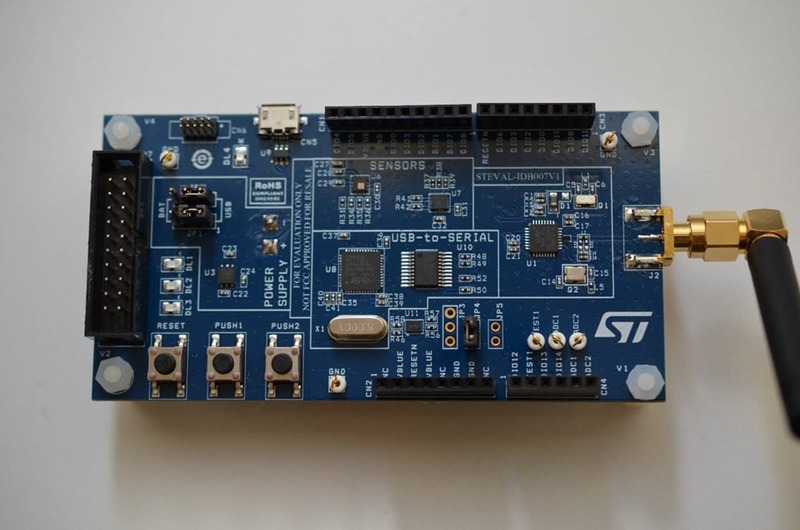 Once we have a reference to the service, we can use the StreamSocket class to establish a connection to the Bluetooth module and get references to input and output streams. If you want to develop something more for Arduino and Windows 10, I would recommend to use Remote Wiring project (https://github.com/ms-iot/remote-wiring) that can help you control Arduino board using your own UWP application. 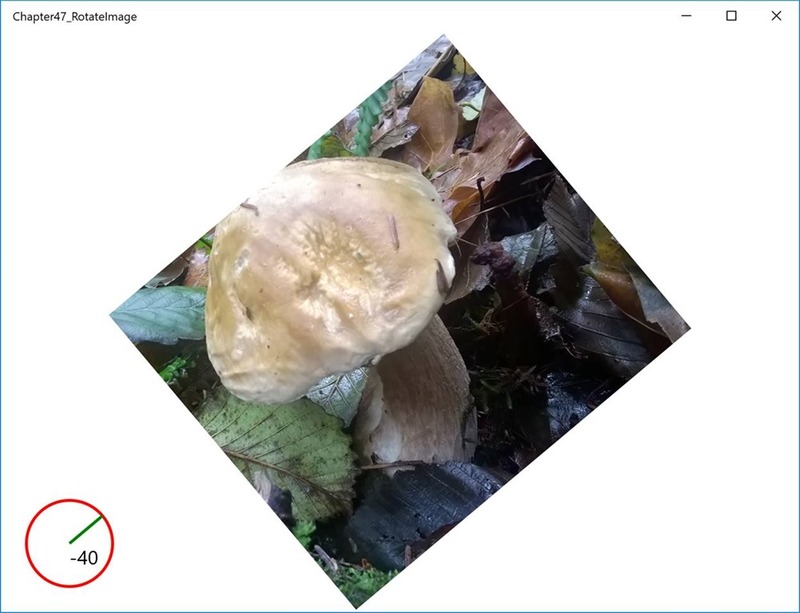 Thanks to new Bluetooth Low Energy API in Creators Update, UWP applications can publish GATT services playing a virtual peripheral role. 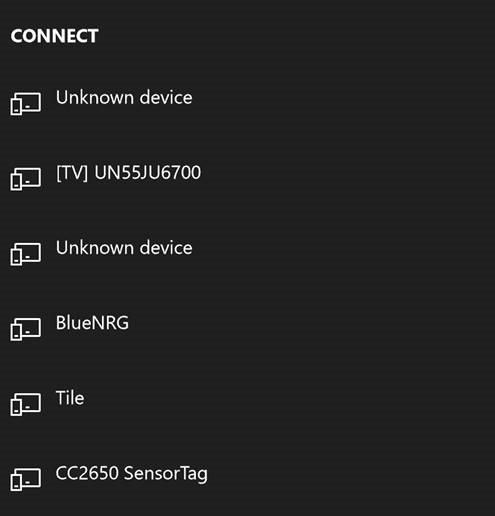 It makes sense if you develop a hardware hub on Windows 10 that should be connected to different peripheral devices (not just Bluetooth, but ZigBee, Z-WAVE and even by wires) and want to use Bluetooth as a communication protocol between your phones, computers and the hub. In this case, the hub can read data from the peripheral devices and route these data as a set of Bluetooth services. Of course, to publish anything as a BLE service you have to make sure that a radio module on your computer supports peripheral role. I didn’t find any list or recommendations yet, but it’s really not easy to find a device for tests. Even if a radio module based on a chip that can work as a transmitter, it means nothing. All my five computers including Surface Book don’t support peripheral role, but I could find at least one device: Raspberry Pi 3 that has embedded Bluetooth module. It’s strange, but using Raspberry Pi 3 you will not be able to implement beacons, but it works fine as a virtual peripheral device. If you have Raspberry Pi 2, it will not work, because both recommended external modules don’t support peripheral role. 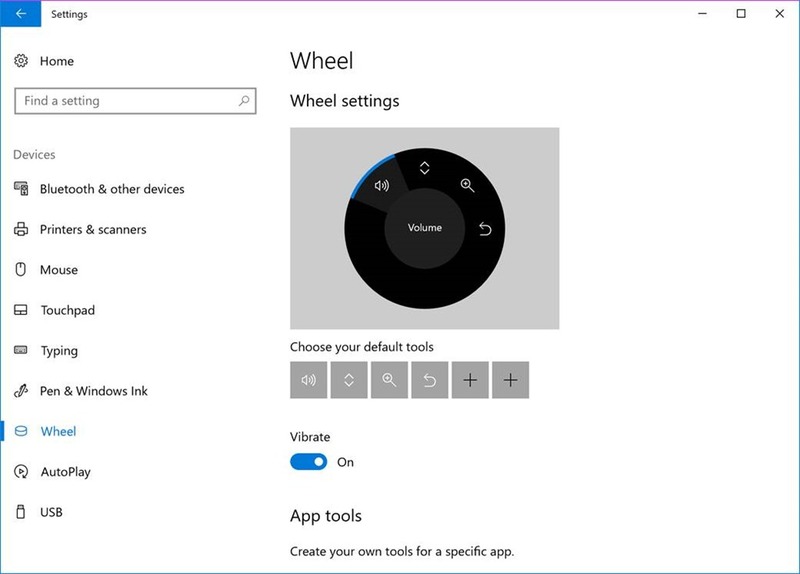 To check if your computer supports the peripheral role, you can use the BluetoothAdapter class and check the IsPeripheralRoleSupported property. If it’s true, your device can work as a Bluetooth peripheral device. You can see that to use the CreateAsync method it’s enough to pass a GUID as a parameter. Pay attention that Bluetooth specification contains some reserved GUIDs for adopted services. So, if you create something from scratch, it’s better to check all reserved GUIDs. In the code above I declared an event handler for the AdvertisementStatusChanged event in order to make sure that my service is started. In this code if you forget to use deferral, the code will generate a runtime exception. In the beginning if the chapter my STEVAL-IDB007V1 board had some sensors, but Raspberry Pi 3 doesn’t contain accelerometer or temperature sensors. So, I generate fake values just to test if it works at all, but if you want, you can connect real sensors to your Raspberry Pi 3. Finally, we are ready to advertise the service. Using StartAdvertising method we need to initialize IsDiscoverable and IsConnectable to true. Opening my code on github you can find implementation for the second service with similar implementation. To test this service, we can use our first application in this chapter or any BLE scanner. 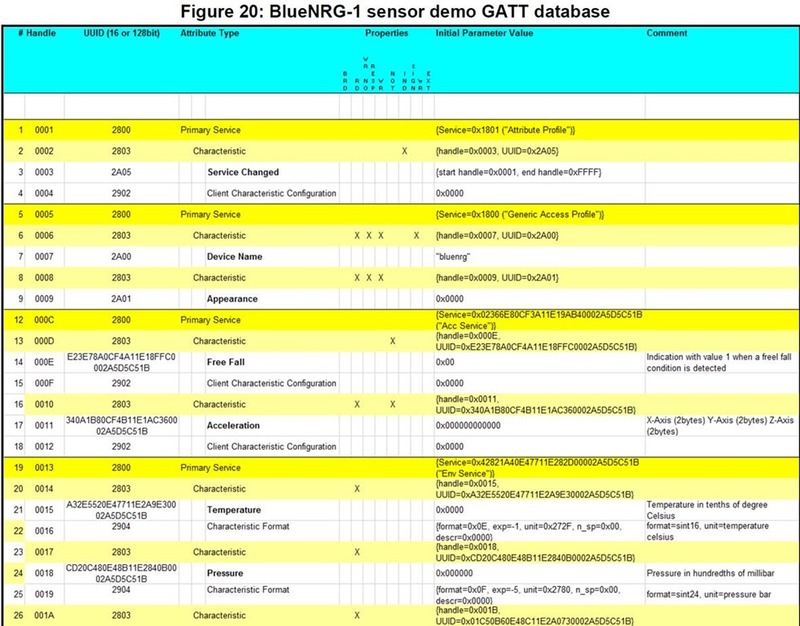 Bluetooth Low Energy can be used to implement beacons. Usually beacons are not designed for pairing and simply broadcast data making them available for everybody. You can use beacons in a mall to notify shoppers about some deals, or in quests, notifying players about some treasures in the area, or even for people with disabilities notifying them about surrounding environment. 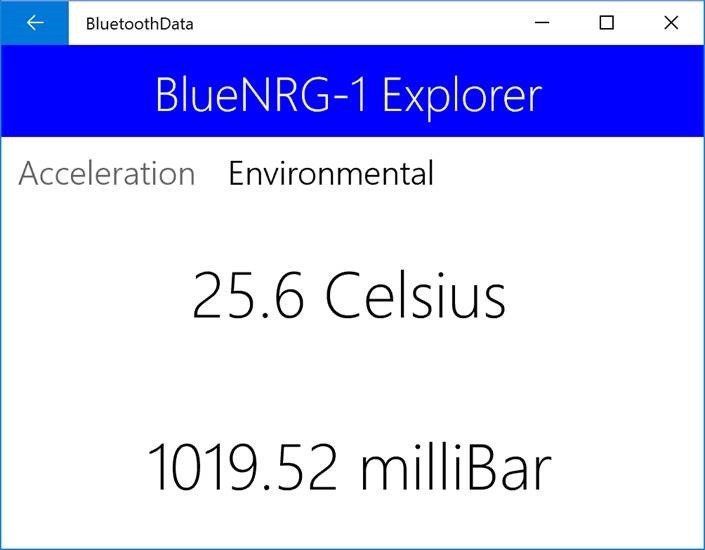 Today, almost all mobile devices support Bluetooth Low Energy and advertisement feature there and you even can find some SDKs for Android and iOS that implement own data payload specifications (Eddystone and iBeacon) based on Bluetooth Low Energy Advertisement. Thanks to the specifications you can understand what kind of data is broadcasting and use them in your applications even if a beacon was implemented by somebody else. 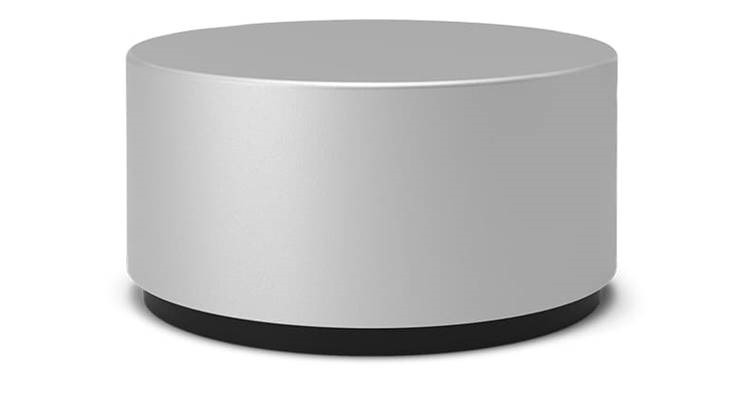 In the case of Universal Windows Platform you have access to a special namespace Windows.Devices.Bluetooth.Advertisement that can help you receive and send data using BLE Advertisement. Using this namespace you can implement classes that will use existing payload specifications or simply broadcast data in your own way. To implement advertisement example, I am not going to use any microcontroller. Instead, I would recommend to use just Windows 10 computers. 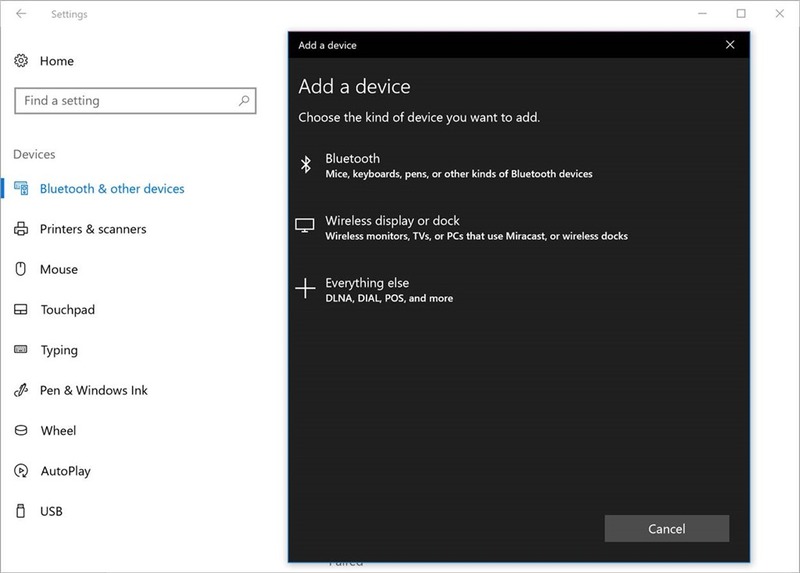 In general, any Windows 10 computer can send and receive advertisement, but in some cases, it’s not true and some Bluetooth radio adapters don’t support broadcasting advertisement data. You can see that there is a property IsAdvertisementOffloadSupported that shows if your adapter can broadcast advertisement. In my case this property is true. In our case we made all preparation work using the BluetoothLEManufacturerData class. We used this class just in order to simplify our work, because we are not going to broadcast anything special, but in the most cases you will use the DataSections property rather than the ManufacturerData property. Exactly DataSections contains all payloads and filling ManufacturerData you automatically add a section to DataSections collection. But working with the BluetoothLEAdvertisementDataSection class to fill DataSections is a little bit more complicated, because you need to know different data types from BLE specification, form a header that will include special flags and size of the buffer and so on. In the case of the BluetoothLEManufacturerData class you can write your data directly and all what you need is just provide a company id. Using this link (https://www.bluetooth.com/specifications/assigned-numbers/company-identifiers), you can find some hardcoded company ids for companies like Apple and Microsoft. Therefore, I selected the first available ID from the end. Additionally, I implemented the StatusChanged event handler to make sure that my application starts broadcasting data. In fact, it’s not a complex task to create a watcher, but implementing your own application, you should not always watch all advertisements around. It’s better to watch exactly beacons that were designed for your application. That’s why the BluetoothLEAdvertisementWatcher class allows us to setup filters. In our case we have two filters: signal strength and company id. It can help us understand that we are too close to the beacon and that it’s exactly our service. But you can pair your devices directly from your application. In order to do it you can use the same DeviceInformation class that we used to track available devices. You can see that we used Pairing property to get a reference to an object of DeviceInformationPairing type. 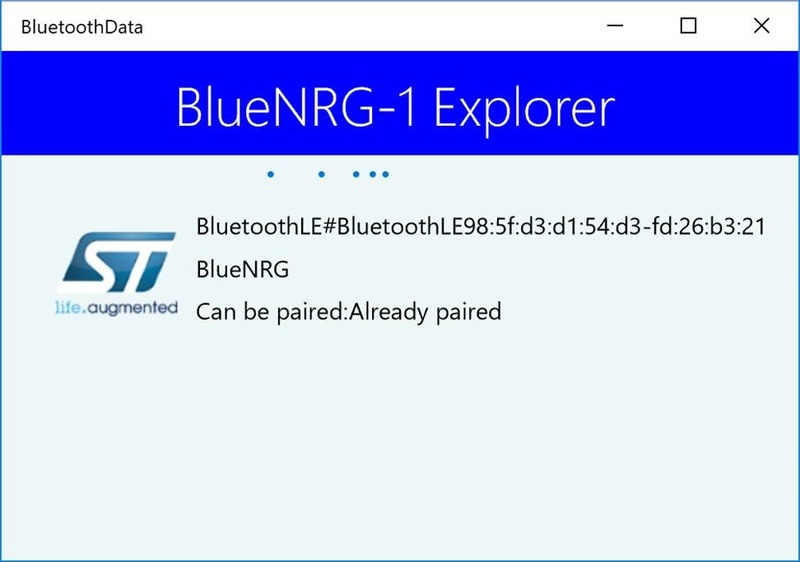 Using it we can check if the device is already paired, and pair the device if needed. Pay attention that Windows is caching all paired devices. 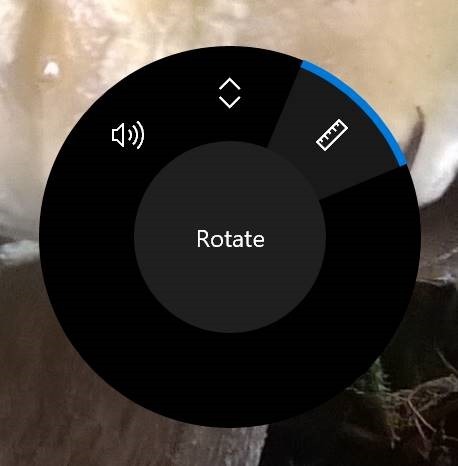 So, once your device is paired, you will be able to see it in the list, even if the device is not present physically. It’s a problem and it’s better to check if the device is still available. You can see that we used Custom property in order to invoke custom pairing process. Using this property and PairAsync method there we can activate pairing process. It will generate a special event PairingRequested where we can provide all needed information. In our case we simply use Accept method with the pin as a parameter. You can see that code is not very complex, but you can extend your UI now showing progress. In the previous video we discussed, how to onboard an AllJoyn device using Visual Studio, C# and Windows 10 AllJoyn features (How to onboard AllJoyn devices in C#: LIFX Color 1000 Example). Today, I am going to show, how we can start working with an “onboarded” AllJoyn device.